GOMBAK, 8 November 2017: Pride, disgust and loneliness – three diverse emotions showing how human beings are flawed and struggling. 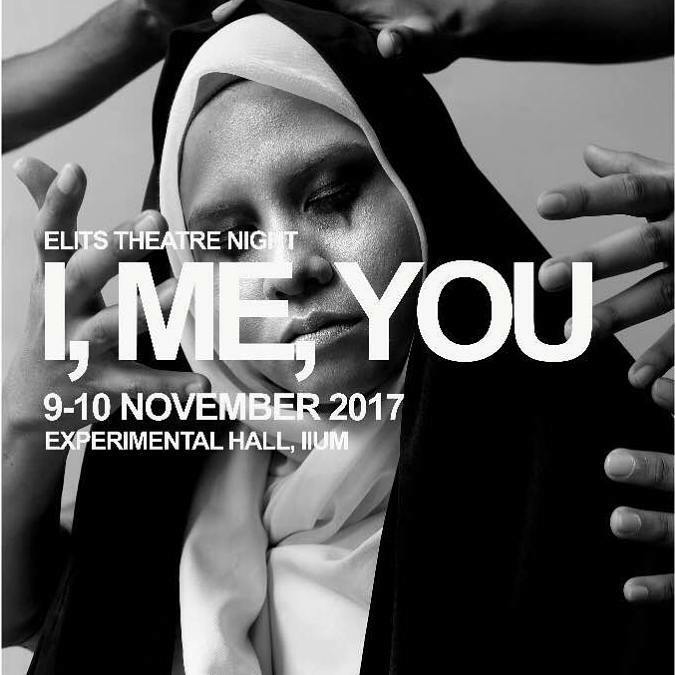 In conjunction with ELITS Theatre Night, a play titled “I, Me, You” will be staged this upcoming 9 to 10 November at Experimental Hall, aimed at helping the audience learn and accept themselves while acknowledging the flaws that make them human. “Unity is a character that can control the consciousness of an entire planet. The concept of how we can practise our freewill and everything united at the same time, hence making us stronger,” said the scriptwriter, Dzulfazreena Annessa Dzulkefli. The director of the play, Aisyah Khaleeda Rosli, highlighted that by signifying those three emotions, it is hoped that the audience will start embracing the diversity of emotions that they have. The backstory of the play is family ties and how it relates with the three elements mentioned. The second director, Muhammad Faiz Fahmi Musa, added that they would like to connect with the audience through the play by making sure that it is going to be both entertaining and informative. By doing so, he hoped that people are willing to understand the message behind the story. The play is also expected to help the audience think and reflect that every great art has its own souls and how every human being has his or her own struggle. ETN is an annual theatre night event organised by the Secretariat of English Language and Literature (ELITS). It is the highlight of the IIUM Writers and Literary Festival. This year, ETN is bringing ‘Unity in Diversity’ as the theme. Instead of focusing on the diversity of races, cultures or ethnics which is very common, Dzulfazreena said that she decided to have a different interpretation of diversity and take it to a personal level. Tickets, on sale at RM6 for students from any university, and RM10 for members of the public, can be purchased at HS Square where ELITS has opened a booth. Students can also get three tickets for RM15. Any updates will be posted on @IWLFestival twitter page.